Well, after some delay, registration is finally open for Lightspeed Saber League's first national competition, happening this December in Las Vegas. This is going to be an enormous event, with up to 56 competitors and almost 200 fights in a single day. Every competitor gets a minimum of six matches in the qualifiers, which determines if they move on to direct elimination, and ultimately the final. We get to crown TWO champs in this competition as we will have a women's and a men's division. I am not sure if this is true but this may be the very first time a gendered division has been offered in any "lightsaber"-based combat event of this size. 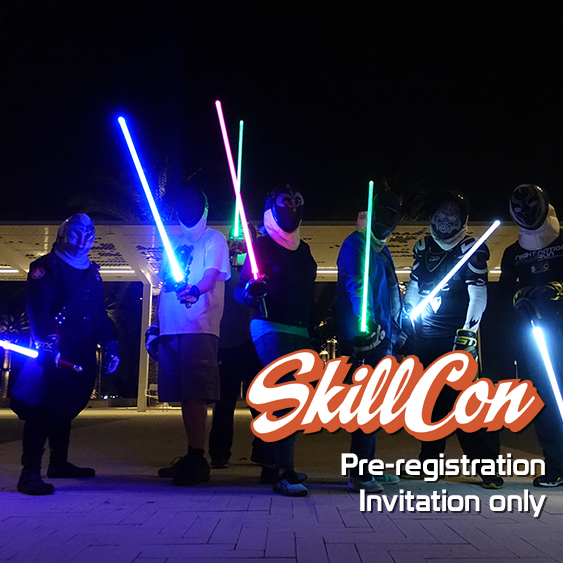 We are super stoked at this opportunity and got to give it up to SkillCon for making this possible. You can register for the competition right here. Don't forget to book some extra days to enjoy the rest of the convention, and to get some last minute practice opportunities on the day before.